On 13th April 2016, WWE aired the 192nd edition of NXT on the WWE Network, having previously taped the show on the 2nd April 2016 at the Kay Bailey Hutchinson Convention Center in Dallas, Texas, USA. Johnny Gargano and Tommaso Ciampa for the first time since the end of October to face The Vaudevillains...but was it any good? Let's take a look! Austin Aries cemented his place on NXT with a strong victory over Angelo Dawkins. Dawkins has lost every single one of his 19 matches on WWE television since his debut in June 2013, but his size allowed Aries to look good here with Dawkins putting in a solid effort to make Aries look like a superstar. The former ROH World Champion has taken a rougher, brawling style in his WWE performances so far, that should help him to stand out from the crowd. Aries rope-assisted neckbreaker onto the apron was the highlight of the bout for me. However, I'm not fully convinced by the Roaring Elbow that Aries used as his finisher here, as it seemed to take a little bit too much time to set up for what it actually was. As much as NXT's short bout as designed to showcase one performer, they live and die on the quality of the performance from the loser of the bout. For me, this contest was a bit of a damp squib, thanks to a weak showing from Tessa Blanchard. I felt like her offence looked sloppy, that her selling was over-the-top and at times down right odd and it effected just how good Alexa Bliss could possibly look her. The crowd were deflated and seemed uninterested by the action, which would close with Bliss picking up the victory with the Glitz Flip (Standing Moonsault double knee drop). This was a cracking tag team main event, with Tommaso Ciampa and Johnny Gargano slotting right back into their tandem and producing a fun and quirky contest with the Vaudevillains. Whilst it wasn't a particularly complex contest and I'd have liked to have seen it given an extra five minutes, each element of the bout was done well and all four men made sure that every little thing they did contributed to making the clash even more watchable. After a lovely face-shine, The Vaudevillains pulled out some lovely unique stuff when in control of Gargano, with the build towards the hot tag to Ciampa producing a nice twist on the cliche spot. A busy finishing stretch was the strongest action of the show, with Gargano hitting a neat senton off the apron onto Aiden English and Ciampa was eventually able to lock Simon Gotch in the Bridging Fujiwara Armbar to get his team an impressive submission victory. After this outing and especially with The Vaudevillains now transitioning over to Monday Night RAW and Thursday Night Smackdown, I'd love to see Ciampa and Gargano teaming up more regularly on NXT, as I feel that the tag division would benefit much more from the duo than the crowd singles ranks could. This was the strongest of the two women's matches on the show, with the crowd showing their appreciation for Bayley throughout. Considering Liv Morgan only had her first match last June, she put in a bloody good display here, bringing a lot of energy and pulling looking more than competent in there, especially when on the offence. There's certainly more than a spark of potential in this woman, I look forward to seeing her more often in the future. It also stands as a testament to the skills possessed by Bayley, that she allowed her opponent the opportunity to look good and develop, whilst also protecting herself, all within the space of just over three minutes. After the match, Bayley would address her NXT Women's Championship loss to Asuka, just 12 days prior at NXT Takeover: Dallas, in a short promo that seemed to be setting up a much-anticipated rematch between the two down the line. A short but fun contest to close the show, as Shinsuke Nakamura continued to embed himself into the fabric of NXT with a powerful victory over Tye Dillinger, in front of a Dallas crowd who seemed to adore the "King of Strong-Style". Nakamura's offence was put over hard throughout the bout with a series of hard strikes and blows used throughout, with Nakamura winning clean with the Kinshasha, but it was his character that got the most exposure here. The bout was peppered with a fair few comedy spots, with Dillinger playing his role well by mocking the former 3 time IWGP Heavyweight Champion, which lead well into Nakamura return the favour. If there was any worries about how Nakamura was going to transition into WWE on a week to week basis then this contest should have cast those worries aside, like an empty bottle of Sunny D.
NXT #192 had a nice selection of short matches across the hour, but perhaps lacked anything that you could really get your teeth into. The main event tag bout featured a lot of fresh ideas and did everything it did well, but certainly could have done with more time and a strong sense of purpose. 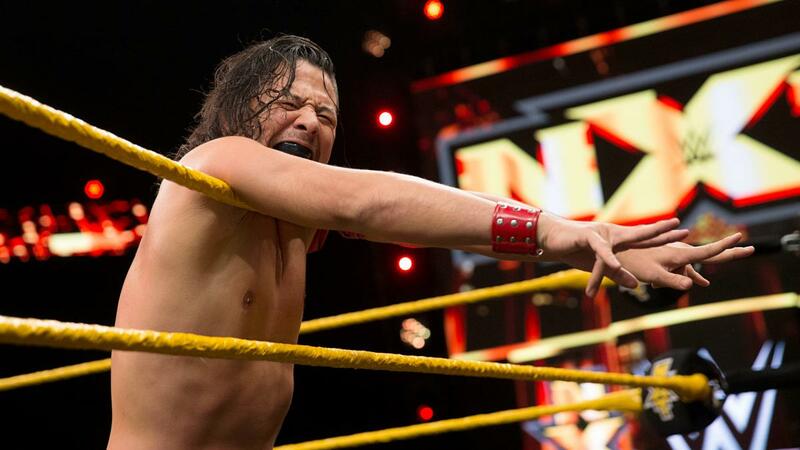 Elsewhere, Shinsuke Nakamura had an enjoyable victory over Tye Dillinger in the stand-out contest from the undercard, but with a lack of any storyline development made this episode very missable indeed.